We are at an inflection point in the debate about what artificial intelligence (AI) means for industries and professions. With the critical mass of data now enough to feed the AI engine, its early applications are yielding some very interesting results. There are many truths and half-truths out there concerning the impact that AI will have across a range of industries and professions. Some industries have adopted elements of the technology faster than others, with varying degrees of success. And while there is undoubtedly a great deal of hype around AI, it seems certain that it will have a dramatic impact for many areas of business and the wider world over the coming years. In fact, figures from a recent study found that 88 percent of over 230 business and technology executives surveyed are now using technologies that rely on artificial intelligence. And of those who haven’t yet deployed AI, 56 percent plan to do so in the next two years. This is because its progress has accelerated sharply in the last 5 to 10 years due to advances in low-cost parallel processing, learning algorithms and a rise in the sheer volumes of data that we now have at our disposal. These advances give AI-powered or infused systems a huge volume of material to analyze, interpret and learn from – infinitely faster than humans ever could – with a view to gathering insights, solving problems and increasing productivity. Most current uses of AI fit into what can be considered “understanding of the world,” that is harnessing AI’s abilities to handle, organize and analyze a range of inputs; most critically, huge amounts of structured and unstructured data, which can range from social media sentiment to a company’s business data. To give an example, the EY Global Artificial Intelligence Lab has recently applied AI and deep learning technologies to the lease accounting process. AI is used to streamline data capture from contracts, by identifying the relevant clauses for accounting treatment, such as lease commencement date, payment amounts, and renewal or termination options. By easing data capture from these contracts, EY teams are able to work much more quickly and efficiently, while better supporting clients in their transition to new accounting standards such as IFRS 16 or ASC 842. In the wider business environment, we are also at a point where AI’s potential is illustrated in its predictive value, through its ability to review and analyze historical data and make predictions of likely future risks and events. Machine learning can be used to devise an accounting fraud prediction model to more accurately calculate the probability of future material misstatements, improving audit quality. The legal profession is also using AI in similar ways to support them in their research, to sift through masses of unstructured data and convert it into structured, analyzable information within hours. For EY, the next stage in AI’s development is “interacting with the world,” which refers to the technology’s ability to respond to human demands in a natural and intuitive way. Existing examples can be found in consumer technology, such as virtual personal assistants, but even here, the technology is still in its infancy. The Internet of Things (IoT) and the levels of connectivity it will be able to handle will also continue to increase at exponential levels. EY recently announced a global proof of concept to expand the use of drones in inventory observations. In order to enhance audit quality, this extensive pilot project is using pioneering industry technology to improve the accuracy and frequency of inventory count data collection. 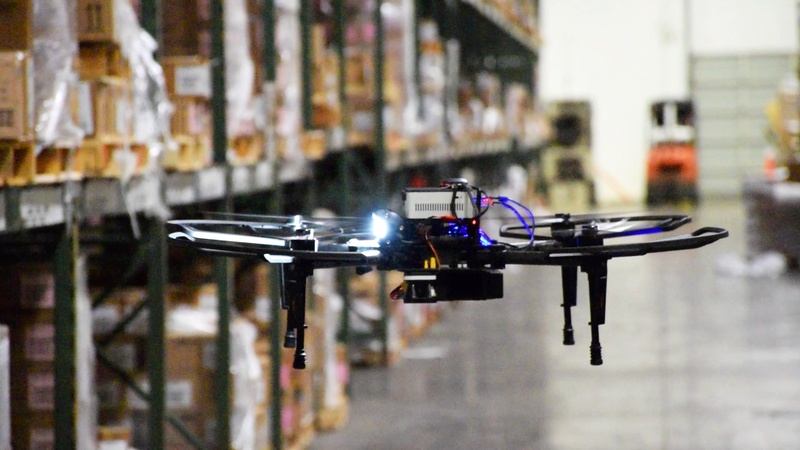 By innovating the stock count process using groundbreaking drone technology, AI and machine learning, will create a capability that can revolutionize areas of manufacturing, supply chain and inventory management. EY is also working on a proof of concept that is connecting AI to robotic process automation (RPA) and chatbots in order to further improve the accuracy of our teams and enhance the quality of our audits by providing “smarter” access in real-time to technical questions, such as those about audit regulations for a specific country, via our various platforms that our audit teams globally access. What does this mean for the audit profession? There has been a lot of discussion around the idea that intelligent machines will take over the roles of humans, effectively making many of us replaceable. But our view is that it’s not that simplistic. Society is still a long way from reaching a point where AI can replace human judgement, skepticism or personal experience, yet clearly there will be ongoing change to existing business models and it will potentially alter the way organizations operate. AI will call on different people and profiles to support the implementation of the technology, as well as evolving the skills of existing people. Reasoned analysis and interpretation, always prized, will be more valuable than ever before, but auditors will be called on to bring a broader range of experience and knowledge to the table. Specialization will take on more importance and auditors will need to build their skill sets. Audit teams will require a greater diversity of perspectives and backgrounds, with the ability to work across accountancy and specialist industries, and interact with innovative technology. AI will enable us to work better, smarter and faster, enhancing the work that can be done and the value that can be added by human members of the team. It also seems likely that, with more of the transactional and process work completed for them, auditors will be able to move further up the value chain, dedicating more time to delivering strategic insight and more complex problem solving. Many audit professionals will move toward the role of a trusted business advisor, requiring exceptional interpersonal skills and qualities, as well as the creativity to deliver strategic insights utilizing the tools at their disposal. This information will give them the capacity to become more forward-looking and predictive, helping clients to identify future risks and opportunities. They’ll also be required to take on new tasks such as developing audit strategies for complex technology systems, such as blockchain. Of course, as with any new innovation, there are some practical considerations that must be taken into account when planning for an “artificially intelligent” future. For example, with a greater volume of work carried out by software robots, auditors will need to have the confidence that the technology is working correctly and securely at all times and within the confines of the complex regulatory framework and current reporting and compliance standards. And a critical component of the success of AI will be ensuring the quality of data. Businesses can only reap the full benefits of AI if all parties involved work to ensure consistency in the quality of data being fed into the AI engine in order to bring precision to the right level. Deriving value from AI can only be done with the right investment, skills and by developing a culture that is open to innovation. Ultimately, innovation is about taking new risks and challenging conventions. And how successfully AI can be embedded into audit processes will be determined by how organizations combine creativity of approach and the volumes of data now available. But with the goal of delivering sustainable audit quality and enhancing confidence in the capital markets, the focus on AI and the audit will long continue. Felice Persico is the global vice-chair for assurance at EY and Jeanne Boillet is the global assurance innovation leader at EY. A version of this article originally appeared on Financial Executives Daily. A revised version of this article appeared on Silicon Republic.